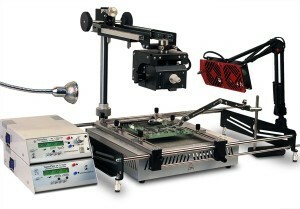 Many people are skeptical put to cleaning the inside of the notebook or PC. Nobody wants to some important point your laptop is broken or just stopped working. 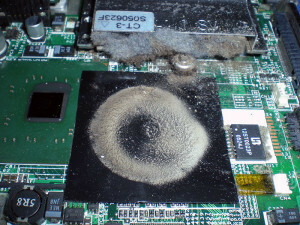 To avoid this you need to periodically clean the inside of your PC or laptop. This procedure should be regular, and an average of 1 time per year. 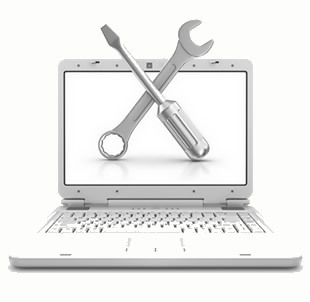 During operation, a laptop or PC is a continuous heat dissipation from the processor and graphics card. This heat dissipation is due to the presence of thermocouple (thermal grease and thermal spacers), which improve heat transfer. Over time these elements are dry lose their properties, because of this deteriorates the central computer cooling systems. As a result of this operation is overheating and failure of your computer (burn video chips, video cards, bridges, etc.). And the cost of replacing these chips often cost 1800 UAH and more. Do not forget the time brushed laptop – the key to your peace of mind. In the photo below, you can see what the situation inside the notebook, if it is not cleaned one year. Dust, lint, hair – all together creates a layer of felt like. This significantly reduces ventilation and cooling of the laptop. The laptop starts making noise, because the fan speed increases to cool the system. Over time, the cooling system ceases to perform its function, after which the processor is overheated, which may damage the laptop.